My friend Rachel Esterline wrote a post 20 Gifts A Young PR Professional Can Ask For This Christmas a couple weeks ago on her blog. It inspired me to write up my wish list for this year. I certainly don’t expect to get everything on my list (I haven’t been THAT good this year). Please consider it more of a dream list. 1. 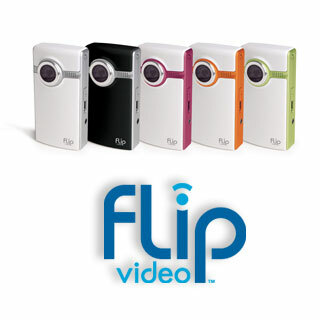 Flip digital camcorder: I can record short videos on my camera but the quality and sound isn’t great. I’d like to start making more mini movies of my family and friends to share. I’d also like to use the Flip for my Digital Essay class next quarter. 2. Business suit: This one also made Rachel’s list. The suit I have now is getting old and perhaps a little too small. Graduation and job interviews will be sneaking up soon and I know I need to start shopping soon. 3. Trip to SxSW (interactive festival): This Austin festival has a rather expensive price tag on it with the combined costs of registration, flight and accommodations. I’ve been debating making this a gift to myself for senior year because I think I’ll regret not going. 4. Noise blocking headphones: I used to think those bulky headphones were too big to wear comfortably, but now I’m reconsidering. I don’t like the ear buds very much. I know that I would use them a lot with my laptop, especially when I go places or work from home. 5. 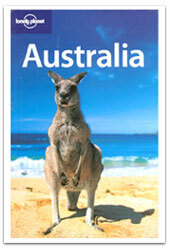 Desk calendar: My calendar this year was 365 pictures of beautiful Australia. I loved it and it’s going to be hard to find a new one this year. I think Lonely Planet made it, but I haven’t seen versions with other countires in stores here yet. I might like either a different country or another travel inspired calendar. 6. Spring break Seattle Style: Last spring break my friend Nicole from Washington came and visited me for a week. This year I want to visit her. She lives about an hour outside of Seattle. I’ve never been there before but heard it’s gorgeous. I would love to go visit her and hang out on the west coast for a week. 7. 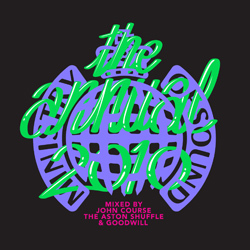 The Annual 2010 album from Ministry of Sound (AUS): This is the Australian version/label and includes 3 CDs mixed by John Course, Aston Shuffle and Goodwill. It looks like a decent line-up and I can never get enough MoS in my life. What is on your Christmas or holiday wish list? I hope you get a flip camera so I can borrow it!